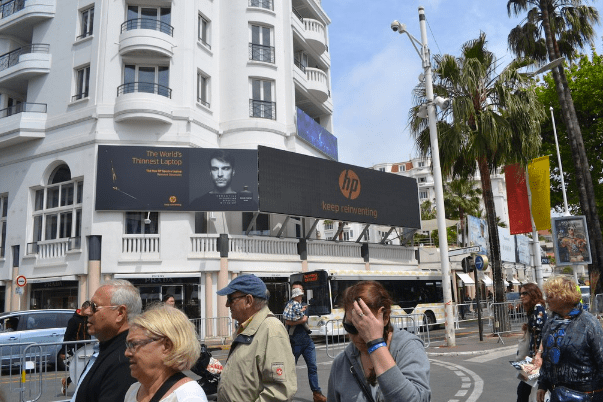 Talon & OMD with HP approached DOOH.com to show off the brand new Spectre laptop to the the attendees of Cannes Film Festival. Working with Curb a new screen was built on the side of the Majestic Hotel at the heart of the Festival. The screen was the backdrop to the Palais, neatly positioned and captured in the background of each stars press shots. DOOH.com built rich content for the Spectre laptop which received more limelight than most A list filmstars.